Nature is the beginning, middle and end. While my sculptural forms are organic and are based on nature you can’t quite put your finger on what in nature was the inspiration. I love surface design, an array of bright color and in that play, another art form, movement comes to life with the light dancing, refracting and activating the surrounding space. 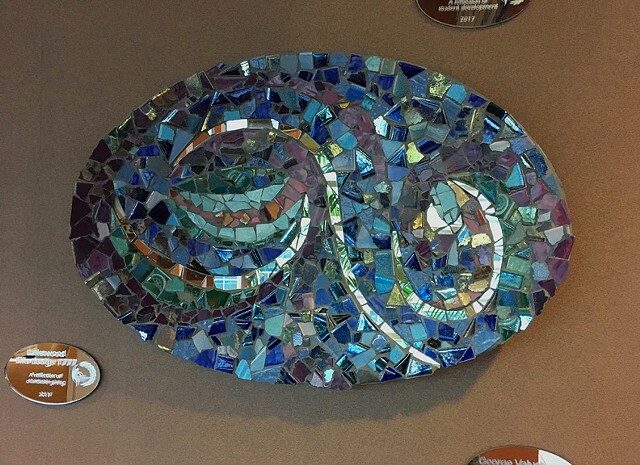 When applying the mosaics, and meditative state is formed one piece at a time, you are invited to join me in this world by looking closely at the mosaic in every detail. I love creating work for the public to enjoy. The bright playful colors enliven spaces. I use skills as a collage artist and graphic designer to make lasting, meaningful public art based on the collective community driven direction. 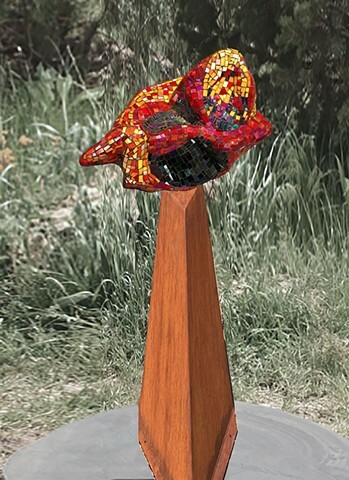 In my mosaic sculptures I use stained glass, high-fired tiles and concrete forms designed on metal bases for ease of installation. Just a yearly coat of water-based sealant is all that is needed to last a lifetime in harsh weather conditions. After a career in advertising and marketing for large national brands Annette transitioned seamlessly into her fine art pursuits. 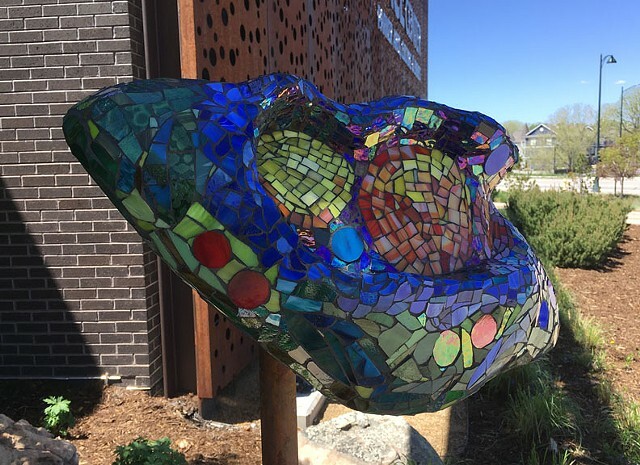 Her work is in many established Colorado collections including; the Children’s hospital of Denver, Boettcher Foundation, Broomfield Library, Lakewood Civic Center, Colorado Mesa University and Craig Hospital to name a few. As a Colorado native you can find her outside in all seasons enjoying skiing, hiking and sketching.